What appeared to be a marriage made in heaven between small forward Kawhi Leonard and the San Antonio Spurs rapidly came apart at the seams. After helping the Spurs win the NBA Championship in 2014 which included being the NBA Finals MVP, Leonard appeared ready to keep the Spurs in championship contention as Tim Duncan, Manu Ginobili, and Tony Parker were all in the twilight of their respective careers. And with Leonard leading the way, the Spurs would win 61 games during the 2016-2017 NBA season as they were able to reach the Western Conference Finals. But in Game One of that series, Leonard would aggravate an ankle injury as he landed on the foot of Golden State Warriors center Zaza Pachulia. Leonard was unable to suit up for the Spurs again in that series as they were swept by the Warriors, but little did we know what would ensue. The 2017-2018 NBA season would see Leonard only appear in nine games for the Spurs due to a mysterious quad injury. The Spurs medical staff felt that Leonard was healthy enough to play, while he sought the opinion of his own physicians. 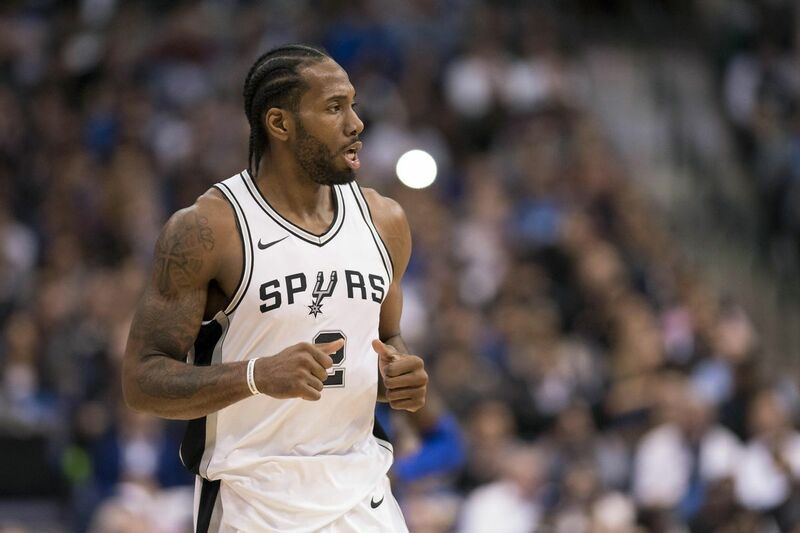 In the process Leonard’s commitment to the Spurs was questioned by the team’s head coach Gregg Popovich, his teammates, fans, and media alike in the San Antonio area. And when it was all said and done Leonard and the Spurs organization had soured on each other. Over the summer Popovich would attempt to smooth things out with Leonard, but the ship had already left the port as the only viable option would now be to ship him out of town. And with the Spurs unwilling to trade Leonard within the Western Conference, they had to find a trade partner in the East. The past five NBA seasons have seen the Toronto Raptors emerge as one of the top teams in the league. Toronto has won a combined 263 games over the last five seasons which has only been trumped by the Spurs and Warriors. But unlike the Spurs and Warriors who’ve been able to win titles over that stretch, the Raptors have not been able to even reach the NBA Finals. The Raptors have the resume, but they were never able to get over the hump. This led to a blockbuster move over the summer as the Raptors sent their franchise’s all-time leading scorer in All-Star swingman DeMar DeRozan to the Spurs in a deal that would see Leonard head to Toronto. The move appeared to be a “stop gap” transaction being that Leonard more than likely will be playing for another NBA team next season due to the fact that he’ll be a free agent next summer. But the Raptors have the inside track on getting Leonard to sign a long-term extension due to the fact that they can spend this current season wooing him, while also having the ability to offer him more money that any other team. And Leonard has been doing his part to show that the Raptors made the right move in taking a chance on him. Through 20 games with the Raptors, Leonard is averaging 26.1 points 8.6 rebounds, and 2.9 assists per game. Leonard has been out to prove to the Spurs that they were wrong for questioning his commitment, while also letting everyone know that he is still one of the best players in the NBA. Last Thursday saw Leonard go for a season-high 37 points in Toronto’s 131-128 victory over the Warriors, and he is a big reason why the Raptors have the best record in the Eastern Conference at 21-5. Leonard is a quiet player who’s personality appeared to be perfect to one of the NBA’s smaller markets in San Antonio, but the same can be said about Toronto. The Canadian basketball fans have quickly accepted Leonard as he has become the new face of their franchise. For so many years the basketball fans in Canada have seen their star players voluntarily leave, and even though that DeRozan was traded as he didn’t want to leave Toronto, Leonard is an upgrade. Aside from being a solid scorer, Leonard is also one of the better perimeter defenders in the league as he is a two-time NBA Defensive Player of the Year. And if Leonard plays his cards right, he can have the City of Toronto in the palm of his hands. The Raptors were already one of the better teams in the Eastern Conference without Leonard, and his presence (along with the fact that LeBron James in now in the Western Conference) could result in Toronto getting to the NBA Finals for the first time in franchise history. And if the Raptors are able to reach the NBA Finals along with having the ability to give Leonard more money that any other team, it would be tough for him to leave town. Leonard is shedding the image of being a player that benefited from playing in the Spurs system as he is indeed one of the top talents in the NBA.